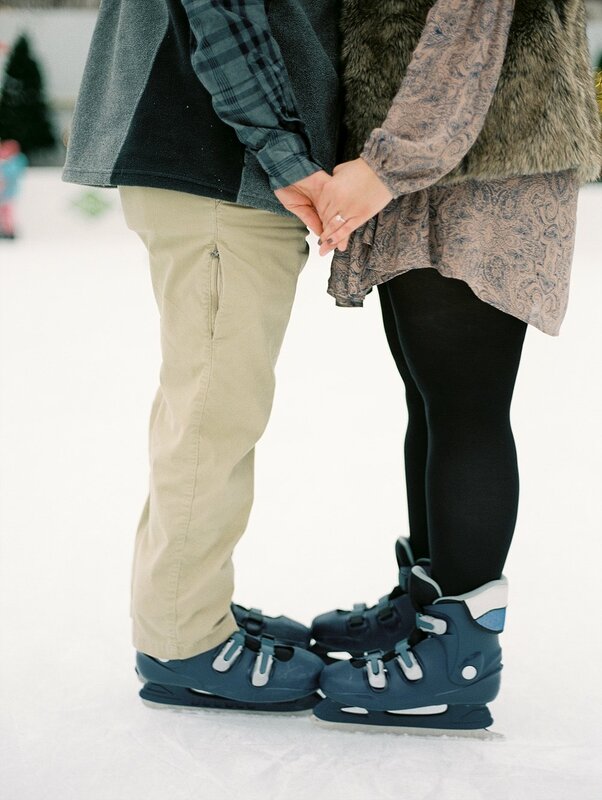 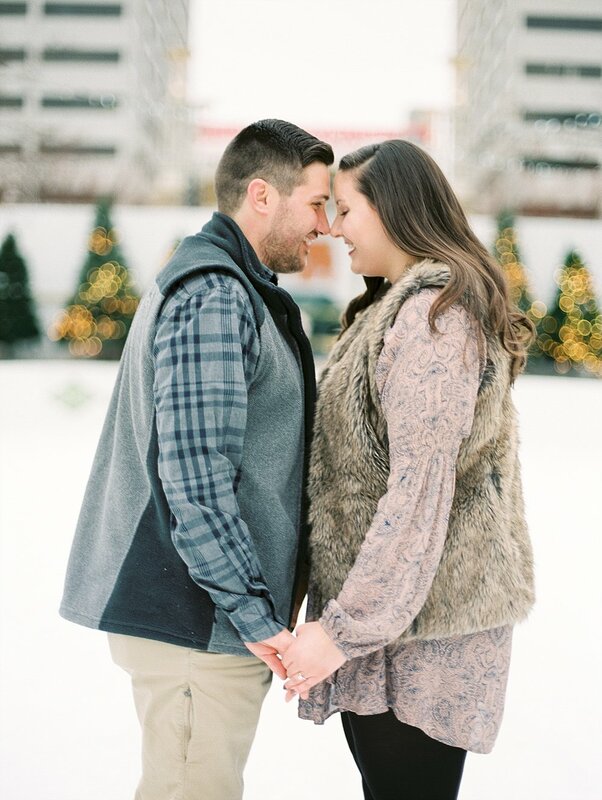 This perfectly sweet winter engagement took place at the location this couple's journey to Mr. and Mrs. all started. 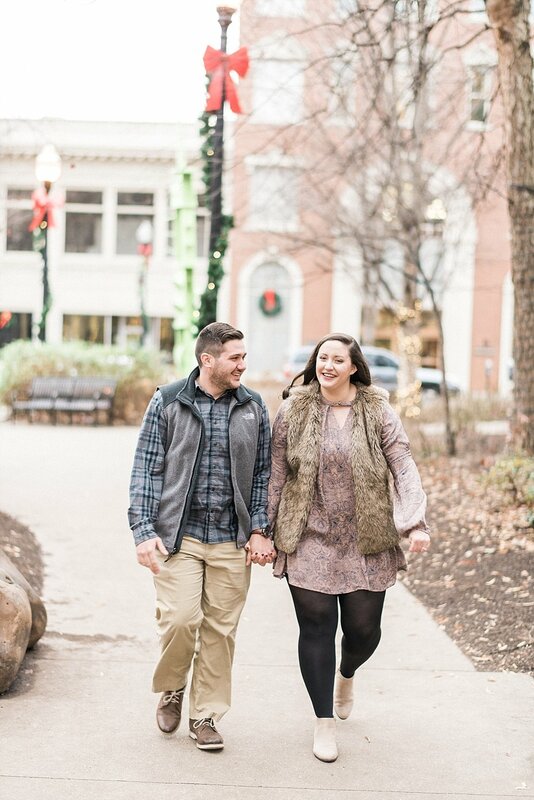 Cody actually proposed to Megan in Krutch Park near Market Square, and we were thrilled that the couple wanted to revisit such a sentimental location for these photos and reenact this moment. 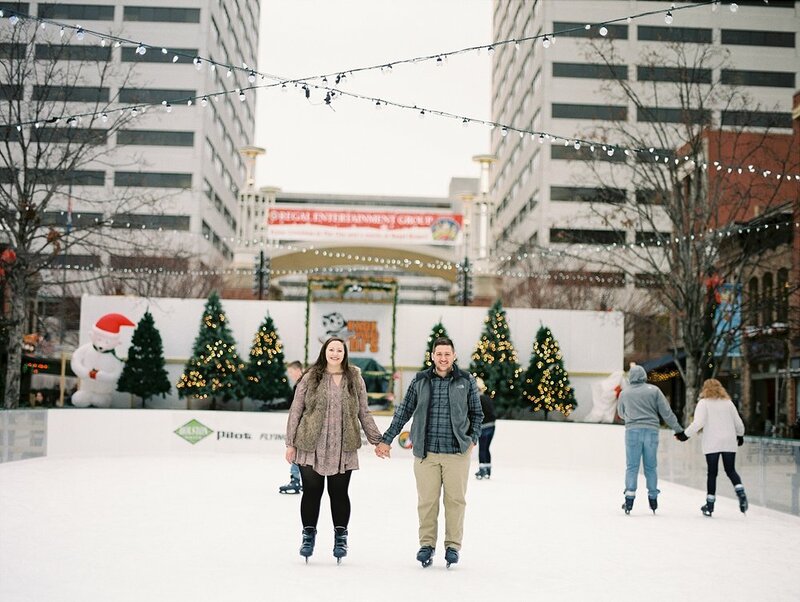 The city was beautifully decorated for the holidays, which we loved, but the coolest (pun intended) part of this shoot occurred when the two buckled their skates and took to the ice. 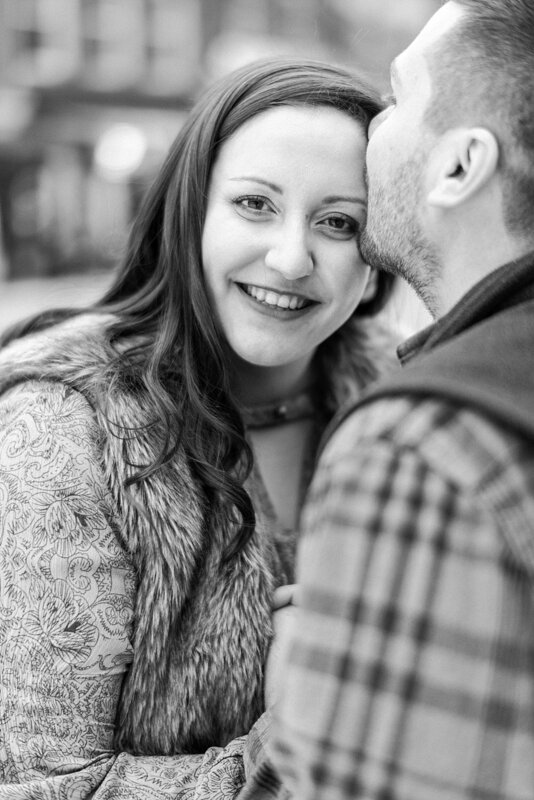 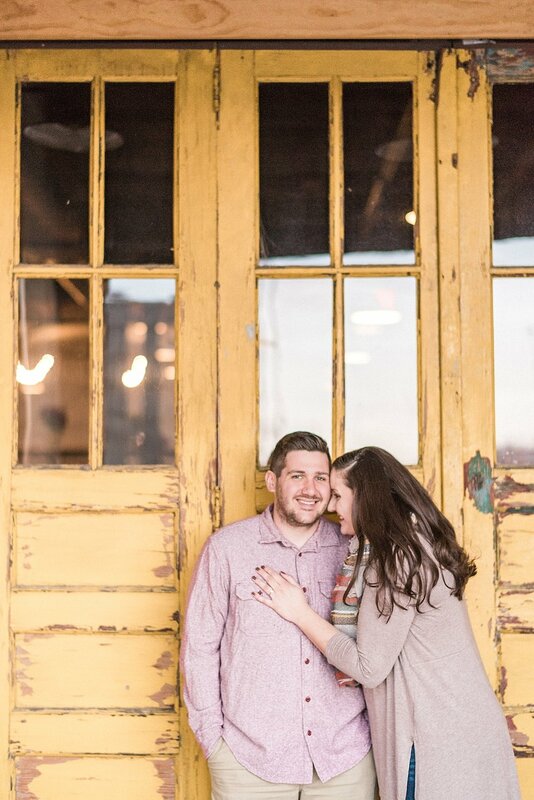 These two have already been nothing short of amazing, and we are so excited about Megan and Cody's wedding in Townsend this October. 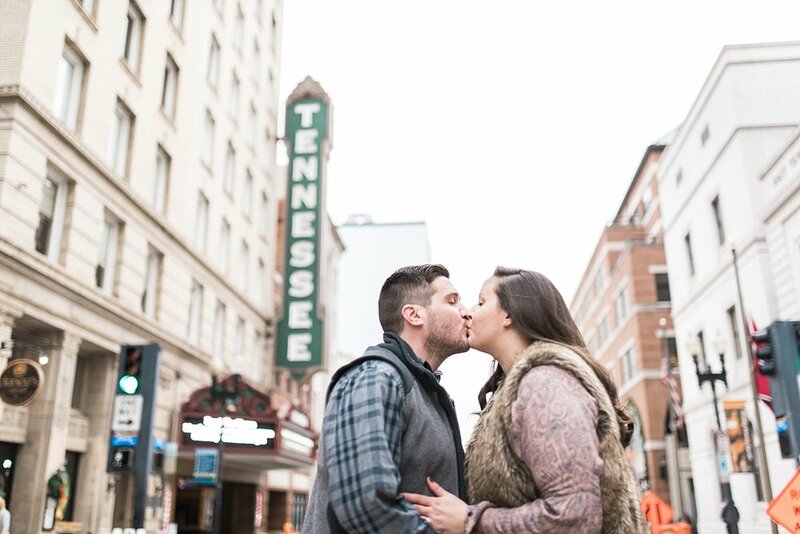 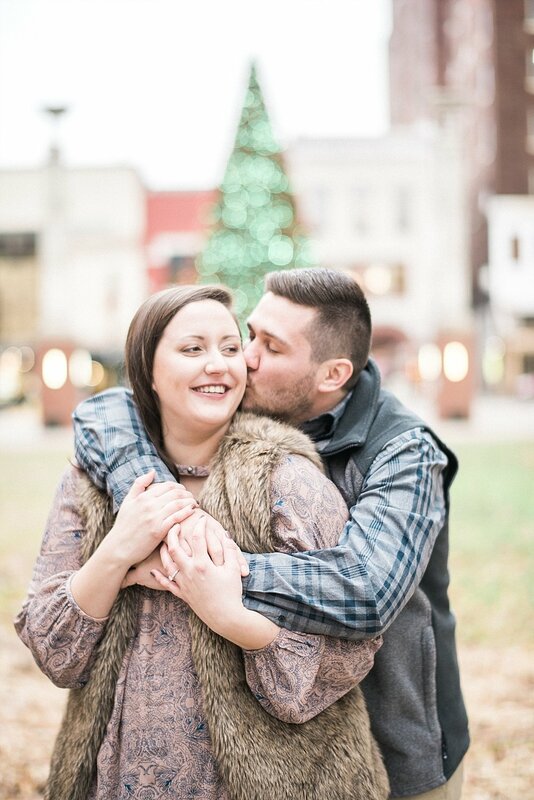 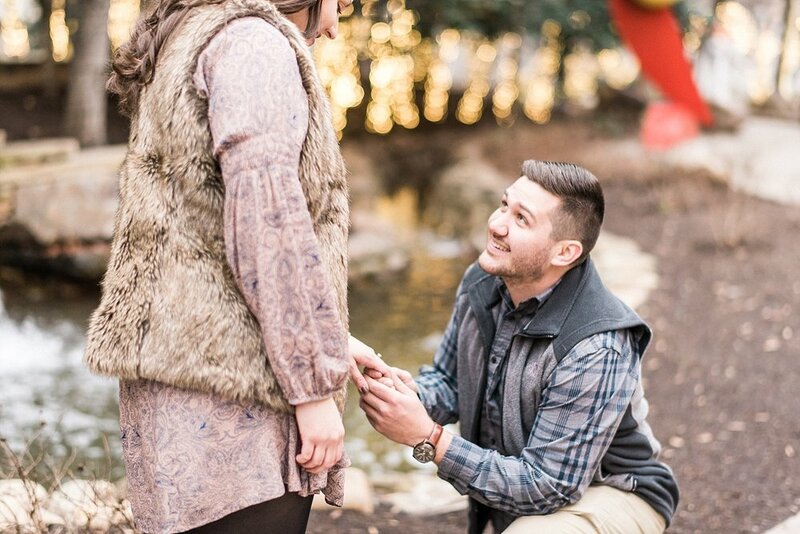 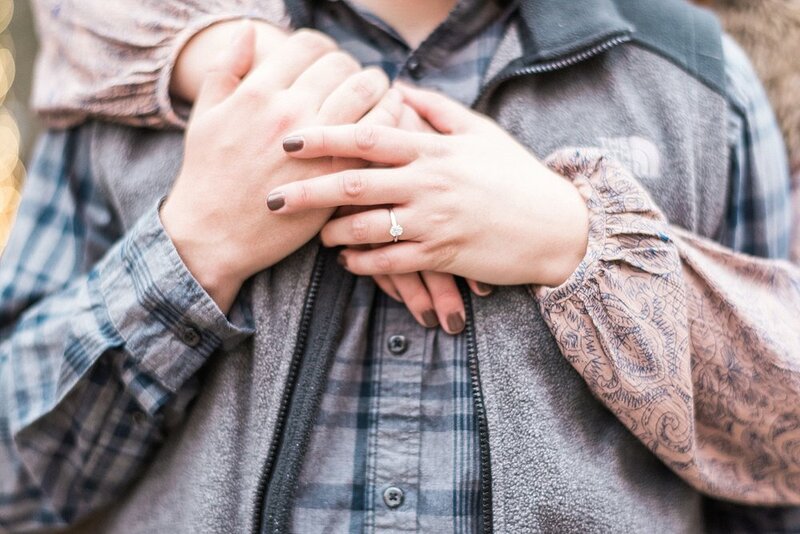 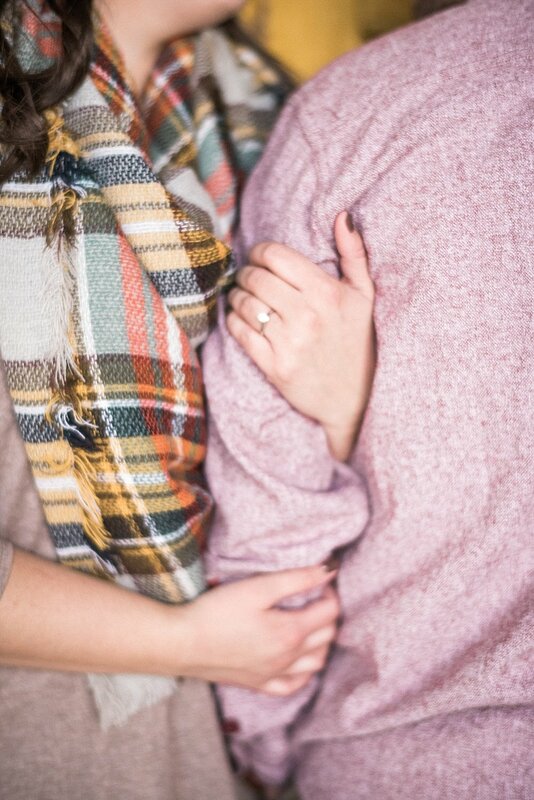 Snuggle up and welcome the warmer weather with this downtown engagement.